On February 17, 1993, during the morning hours, Tracy Samuels dropped her son off at her parents' residence in Jenks, OK. She told her mother that she was going to a job interview. 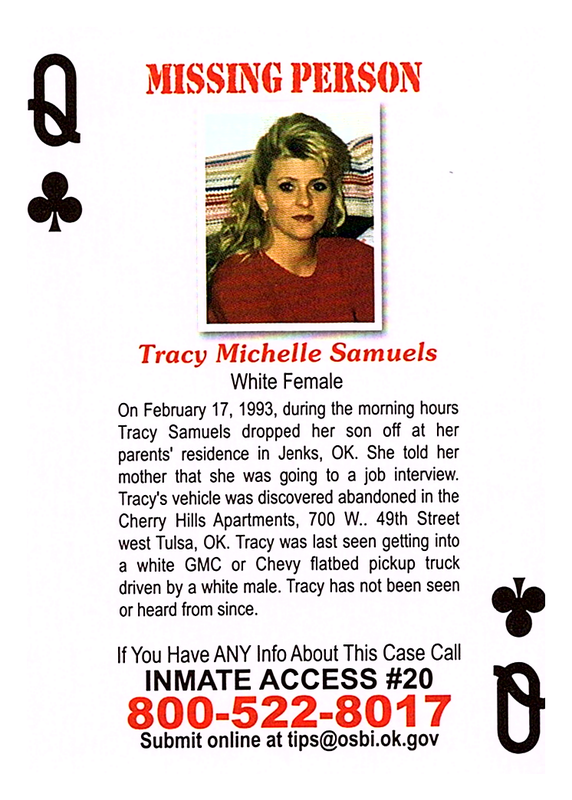 Traci's vehicle was discovered abandoned in the Cherry Hills Apartments, 700 W. 49th Street west Tulsa, OK. Tracy was last seen getting into a white GMC or Chevy flatbed pickup truck driven by a white male. Tracy has not been seen or heard from since.